Gift vouchers are perfect for hot deals and seasonal promotions. Reward your loyal customers by offering them a free product or service. 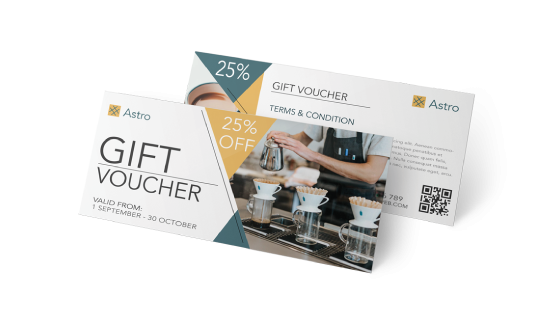 Enhance your direct mail campaigns and build stronger relationships with your customers with printed vouchers. Offering a freebie you encourage them to check your business more frequently and generate additional revenue from returning customers. Having personalised gift vouchers that are printed in high quality adds value and differentiates your business. 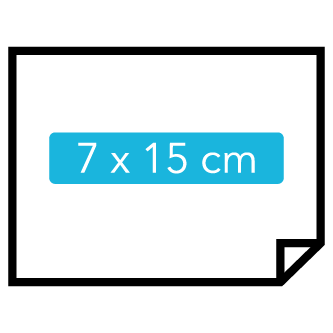 Gogoprint has a variety of different formats and paper types available and you can add a nice finishing touch with either glossy or matte lamination. Place your order today for free and fast delivery. Perforated Line permits to tear apart one part of the voucher.